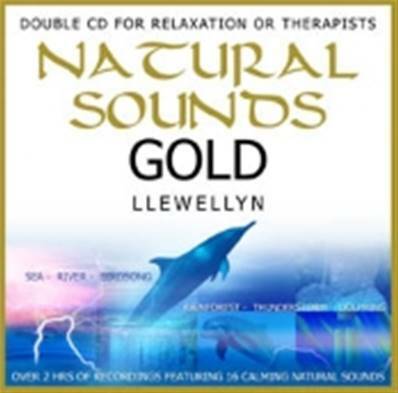 NATURAL SOUNDS GOLD CD BY LLEWELLYN. 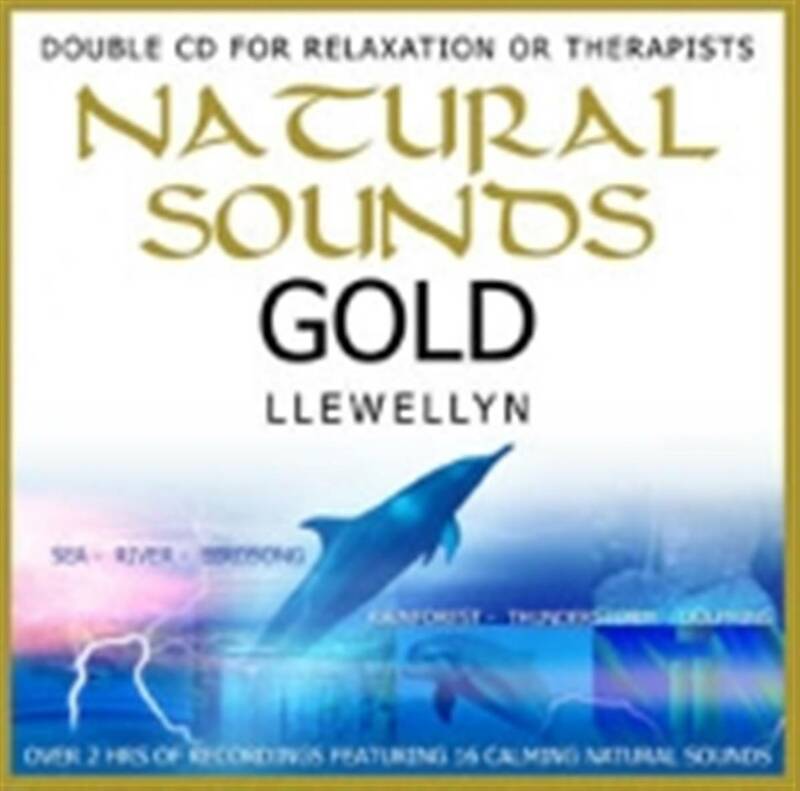 Specially balanced and mixed by top producer Llewellyn to create soothing natural atmospheres without sudden loud noises or unpleasant interruptions that so many natural sound recordings seem to include. Ideal for relaxation, sleep, or therapists. *Double CD* contains over 2hrs of recordings featuring 10 minutes of 16 popular natural sounds that can be easily looped for continuous enjoyment. 1.Calming Seas - gentle breaking waves onto a sandy beach. 2.Gentle Rivers & Streams - soft trickling sounds of clear mountain waters. 3.Tranquil Birdsong - gentle chirpings of a summer dawn chorus. 4.Inspiring Thunderstorm - distant rumblings and crackles of a warm summer thunderstorm. 5.Rainforest Reverie - exotic ambience of a beautiful rainforest. 6.Tibetan Healing sounds - soothing sounds of tibetan bowls and chimes. 7.Moonlit Forest - romantic sounds of night crickets and owls. 1.Friendly Dolphins & Whales - uplifting and inspiring sounds of dolphins and whales. 2.Revitalising waterfall - energising sounds of a tropical waterfall. 3.Refreshing rain - sounds of a welcome cooling rain after a long hot summer afternoon. 4.Soothing windchimes on the wind - gentle tinklings of windchimes carried on the wind. 5.English Country Garden - charming sounds of english birdsong, country animals and a distant village church bell. 6.Exotic Jungle - wild natural sounds surround you in the heart of the jungle. 7.Cathedral Choir Garden - sacred sounds of distant choir combine with the soft flutterings of birdsong in an english cathedral garden. 8. Romantic Tropical Beach - relaxing waves on a warm tropical night.